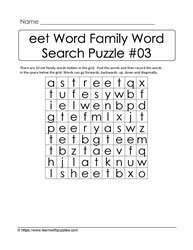 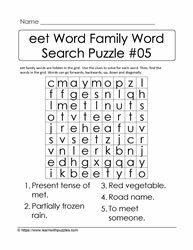 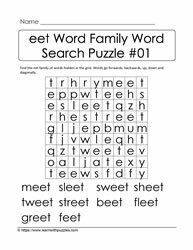 eet word family and rhyming words activity leverages vocabulary building, engages students' brains, and activates problem solving skills. 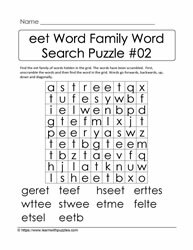 Puzzles also can be used to facilitate cooperation and collaboration in the classroom. 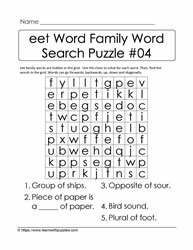 Having students work together in pairs, or as part of a team, can also support the growth and development of language.